Hope you had a merry (Calvinist) Christmas! Oh, you didn't receive a Christmas gift? That's probably because Santa Claus recently became a Calvinist, and everyone is now on the naughty list. 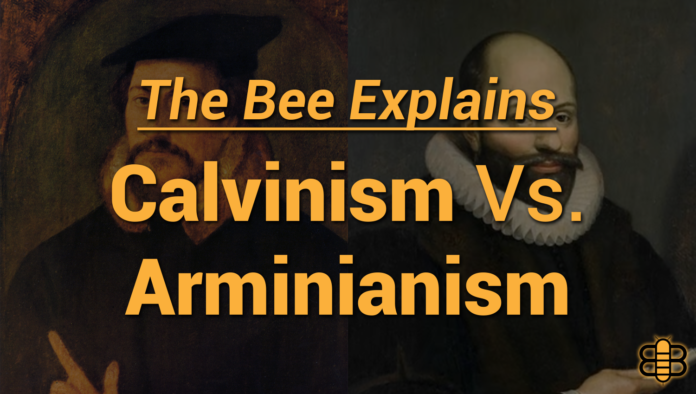 What better way to close out the year than with yet another anti-Calvinism sermon? *SPOILER ALERT! * Straw men abound. Case in point: For the un-elect, "[God] will make sure you go to Hell, whether you want to go or not." Ligonier presents four Christian principles for making resolutions for the new year. Start the new year off right, with some free stuff from Challies.com. Some challenges for "libertarian Calvinism." As you all know, Dr. R. C. Sproul was called home last week. You can view his memorial service here. David Robertson on R. C.'s legacy. Even the Washington Post took notice of Dr. Sproul's passing. So did the Pittsburgh Post-Gazette. Advice from C. H. Spurgeon on how to share your story this Christmas. Matthew Boffey reviews Les Lanphere's film Calvinist. It's a Logos-sponsored Free Stuff Friday at Challies.com. Dave Armstrong discusses the problems he sees in "John Calvin's erroneous mystical view of the Eucharist." "It is impossible to understate the impact of Calvin on Christianity," writes Jarrod Belcher. "The theology of the Presbyterians, the Puritans, and the early Baptists was thoroughly Calvinistic." John Piper on Bethlehem's supernatural star. Take a look at the theology behind the hymn "O Come, O Come, Emmanuel." It's another $5 Friday at Ligonier.org. A new series of booklets from author Tim Challies. "Baptist life in America was deeply shaped by the Reformed tradition," writes Curtis Freeman, "but what has been coming back is not the recovery of the theology of Luther and Calvin. It is something very different—something more radical and extreme." According to Salon, it is the Republicans' "belief in the 'prosperity gospel' and a crude form of Calvinism" that makes them despise poor people. Sheila Kennedy essentially echoes that same sentiment. A member of the Recovery from Mormonism discussion forum asks, "Why are Calvinists trying to attract Mormons?" She is concerned because "it is the most horrific Christian theology ever." Did Reformer theologians make heavy use of pagan sources in their writings? Leighton Flowers critiques Les Lanphere's film Calvinist. Christopher Fisher of the God Is Open podcast discusses an anonymous paper on what he calls the "cult of Calvinism." Considering Fisher is an open theist, you can pretty much guess how it goes. The God Is Open blog links to the paper in question. If I am to continue to be frank, I confess that I never imagined in a million years that I would become LGBTQ-affirming, and actually begin a life-long committed relationship with a man. If anyone had told me five years ago that, by June 2017 I will be pro-LGBTQ and pro-same-gendered relationships, I would have thought the individual to be clinically insane. But life is a journey. I am also far from being alone on my journey. Look for this to be his next crusade. Tony Reinke reviews Craig Bartholomew's book Contours of the Kuyperian Tradition. What can we say to friends who are suffering? There's a new breakfast cereal just for Calvinists! Want some free stuff from ChristianAudio.com? [T]he roots of the flaw in United States culture that makes Trump's criminal enterprise possible can be found in a particular brand of Calvinism that goes something like "We are born either damned or blessed, and we can know which we are by weighing God's favor shown upon us in this life." Or, more simply "The rich are better than the rest of us." How do you like that straw man? The post gets much worse, and the comments are just as bad. Calvanism should not be contentious. As one who holds to the "Doctrines of Grace", I know there can be many theological differences with our brothers of a more Arminian persuasion. However, that should never be the cause of anger, bitterness, or strife...especially if we claim to believe salvation (and the theological sanctification) of every believer is entirely in the sovereign hand of a faithful God working by His Spirit. Chuck McKnight finishes his series on comparing the acronym WHEAT to Calvinism's TULIP, Molinism's ROSES, and Arminianism's DAISY. It's an "Explore the Bible" edition of Free Stuff Fridays at Challies.com. Lay aside the weight of perfection. Chuck McKnight takes issue with "the coercive God of Calvinism and Molinism" in part seven of his series on the acronym WHEAT. The Parables of Jesus is just one of the items available as part of Ligonier's $5 Friday sale. Never blame God for your suffering. Paul Dohse shows up at the TGC conference with his video camera and identifies the "thug who got in my face" as TGC's Director of Program Development. Classy as always, Paul. 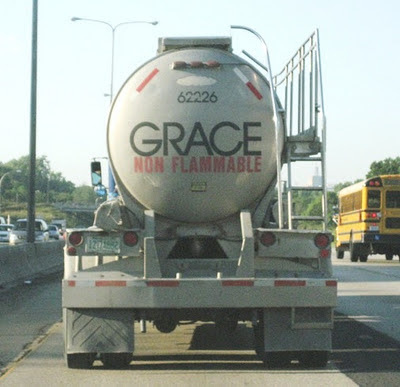 "Not only is Calvinism anti-grace, it is also anti-Gospel," you know, 'cuz "whosoever." How God opens the eyes of the heart. John Samson reposts "21 Misunderstandings of Reformed Thinking" by Sam Storms. Chuck McKnight continues his series on the acronym WHEAT. Ben Hawkins discusses Calvin and Calvinism. It's a marriage- and family-themed Free Stuff Friday. Pope Francis has canonized Brazilian Catholics who were martyred by Calvinists in 1645. Maybe this is the kind of thing Arminians are referring to when they say Calvinism ruins missions. Hmmm. According to a psychological study, Calvinists seem to be more traditional in their views than Arminians when it comes to issues of gender. Go figure. Another study concludes that there is a correlation between believing in penal substitution and complementarianism and being less concerned about suffering in the world. Those cold-hearted Calvinists! The Calvinist doctrine of unconditional election destroyed! After all, "all" means all, right? Steve Hays addresses points made by Greg Boyd regarding Calvinism. Suffering opens a door for the gospel. The irony of Princeton's Kuyper Prize controversy. Fred Clark imagines "how noir Calvinist theology can be," and introduces us to Augustine Frost, Calvinist detective. Apparently, those Calvinist Puritans who settled New England are influencing modern Republicans in their quest to kill 24 million people by taking away their health insurance. Or something like that. Roger Olson blasts Tim Challies (referring to him simply as "the Calvinist blogger") for criticizing a movie he hasn't seen. "Of course, I don't expect Calvinists to like the theology of [The Shack]," Olson writes, "but I do expect them to at least view it before talking about it." Never mind that Challies read the book and wrote an in-depth, 13-page review of it. An open letter to Martin Luther on the Gospel of James. The videos from Ligonier's 2017 conference are now available. Joshua Crutchfield won't let divisions within the SBC get in the way of unity and cooperation. We get grace, God gets glory. Dave Armstrong attempts to refute the doctrine of total depravity as taught by Calvinists like James White. 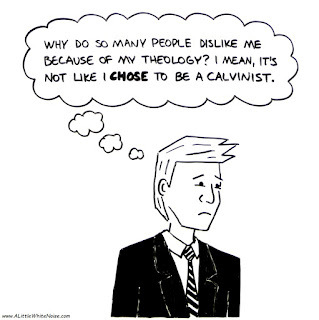 Stephen Altrogge explains why he is a Calvinist. Confessions of a former "New Calvinist." Check out Ligonier's Facebook page for live videos and clips from their 2017 National Conference this weekend in Orlando. What leads "Christians" away from Christ? Six historical positions on divine sovereignty and human freedom. One "Christian" musician's tweet against the penal substitution of Christ sparks debate. Apparently, describing the cross as a blood sacrifice is merely a "beautiful metaphor." John Piper answers the question: is God ever surprised? The purgatory of Jerry walls and its anti-Calvinism origins. Get your copy of A Little Book on the Christian Life. Register early for the upcoming Ligonier Conference, "Discovering the God of the Bible," and save $20. "While Calvin and Calvinists may have been an undeniable influence in the Christian Church beginning in the Reformation era," writes Peter Lumpkins, "it remains beyond difficult to imagine, in the face of so much evidence to the contrary, that Calvin and Calvinism positively contributed to establishing religious freedom in the fabric of American culture and embedding it into the law of the land." Does Calvinism need saving? Sam Storms reviews Oliver Crisp's book Saving Calvinism: Expanding the Reformed Tradition. Richard Mouw is Scot McKnight's favorite Kuyperian. Jonathan Kleis explains why he thinks universal atonement doesn't mean universal salvation. Catholic Dave Armstrong attempts to refute double predestination. R. C. Sproul asks, "Is your conscience captive to God?" I don't know anything about Betsy DeVos, Donald Trump's pick for Secretary of Education, but she's apparently a Calvinist who's coming for our public schools. Thanks for the warning, Newsweek. I guess it's a good thing we homeschool. Shane Idleman pleads for grace on both sides of the debate over whether or not Christians can lose their salvation. According to pagan Druid John Beckett, one way to help yourself "experience the gods" is to burn John Calvin in effigy. 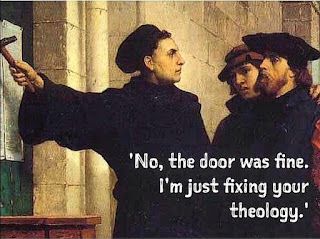 Hey, it's Patheos. It doesn't have to make sense. Apparently, the "turmoil" created by Russell Moore's attacks on Trump supporters is so significant that it has caught the attention of the Wall Street Journal and NPR. Why do we give up on reading the Bible?